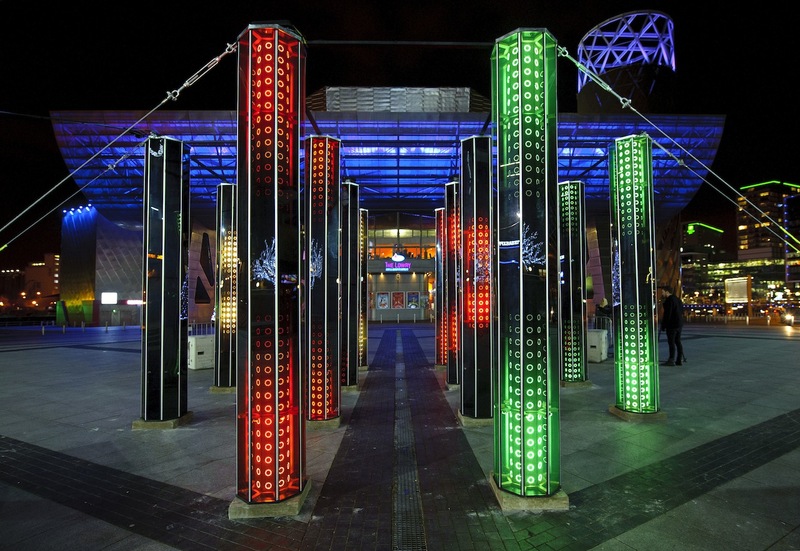 Quays Culture presents NVA’s Speed of Light, an extraordinary free public art performance that took place on the Quays, Greater Manchester’s Waterfront, March 2013. 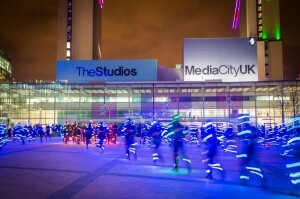 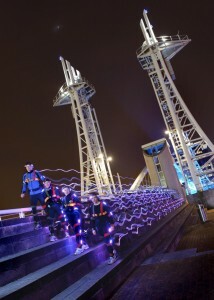 Hundreds of runners in specially commissioned light suits create beautiful, choreographed patterns of Light flowing through streets. 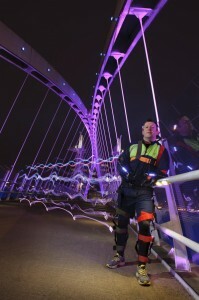 over bridges and around public spaces and buildings. 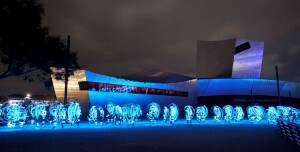 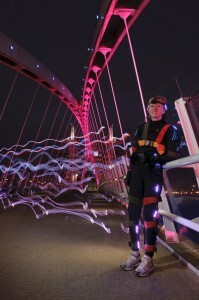 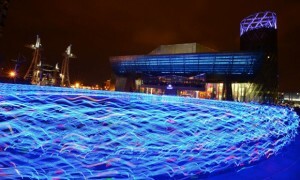 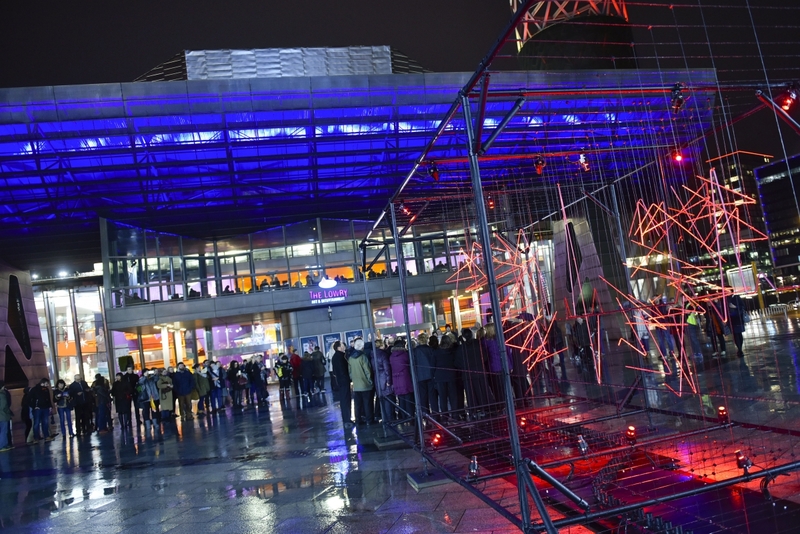 A major hit at Edinburgh International Festival 2012 and recently staged in the docklands of Yokohama Japan, the night time work uses light, intentional movement and sound to change the way we see and feel about a chosen environment.